Down’s syndrome, which was first described in 1866 by Dr Langdon Down – also referred to as trisomy 21 – is the most commonly recognised chromosomal abnormality due to the presentation of distinct facial features associated with the syndrome. It is also one of the most common causes of learning disability with a prevalence of between one in 546 to one in 728 live births in Ireland, England and Wales and the United States (Murphy et al 2005, Wu and Morris 2013, Morris and Springett 2014, Centers for Disease Control and Prevention 2017). Life expectancy has improved significantly for people with Down’s syndrome due to improvements in education, medical and surgical interventions and better access to healthcare (Sheets et al 2011). A slightly flattened facial profile. An upward slant to the eyes, small oral cavity. Large protruding tongue and low set ears. 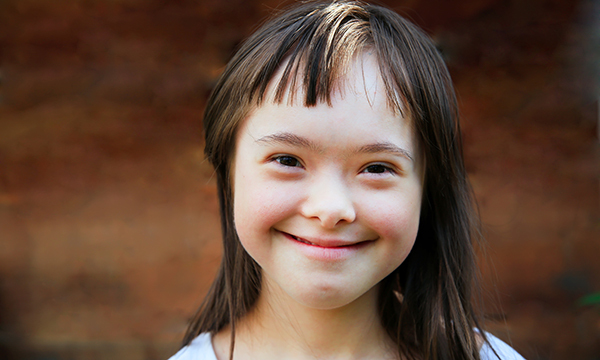 Typically, people with Down’s syndrome experience an array of significant and complex health needs requiring continuous health surveillance, evaluation and treatment (Capone et al 2018). It is a genetic condition in which a person has 47 chromosomes instead of 46. It occurs when there is an extra copy of chromosome 21, which accounts for approximately 95% of cases. Mosaicism accounts for approximately 2% of the diagnosis with some cells containing 46 chromosomes while others contain 47 chromosomes. About 5% of individuals have translocation Down’s which is the transfer of one part of a chromosome to another part of the same or a different chromosome, resulting in rearrangement of the genes. Down’s syndrome is not an inherited condition and cannot be ‘cured’. People with Down’s syndrome have the highest incidence of treatable health conditions, including thyroid disease, osteoporosis, cardiac conditions, respiratory infections, obesity, constipation, cancer, type 1 diabetes, visual and hearing impairments, dental caries, Alzheimer’s and dementia and mental health disorders (McCarron et al 2017, Truesdale and Brown 2017). This is not an exhaustive list and not everyone will present with the full range of health conditions. Diagnosis of Down’s syndrome generally occurs at birth, but can be diagnosed prenatally. It is important that confirmation of the diagnosis includes genetic testing. Given increased life expectancy and the presentation of more age-related conditions in this group of individuals, it is critical that a lifespan approach must be adapted in terms of health surveillance, evaluation and treatment. Sean* is six years old and has Down’s syndrome and lives at home with his parents and younger brother. For the past four months Sean has being experiencing otitis media with effusion, which has resulted in some hearing loss according to his parents. A formal assessment – which included clinical history-taking, a clinical examination, regular hearing tests and tympanometry – was conducted. Drawing from the guidance on managing otitis media with effusion in children with Down’s syndrome (National Institute for Health and Care Excellence 2017), Sean is now using hearing aids and is performing well at school. Capone G, Chicoine B, Bulova P et al (2018) Co-occuring medical conditions in adults with Down syndrome: a systematic review toward the development of health care guidelines. American Journal of Medical Genetics. 176, 1, 116-133. Morris J, Springett A (2014) The National Down Syndrome Cytogenetic Register for England and Wales: 2013 Annual Report: 2013 Annual Report. National Down Syndrome Cytogenetic Register, London. Murphy J, Hoey H, Philip M et al (2005) Guidelines for the medical management of Irish children and adolescents with Down syndrome. Irish Medical Journal. 98, 48–52. National Institute for Health and Care Excellence (2017) Managing Otitis Media with Effusion in Children with Down’s syndrome (2017) NICE, London. Sheets K, Crissman B, Feist C et al (2011) Practice Guidelines for Communicating a Prenatal or Postnatal Diagnosis of Down Syndrome: Recommendations of the National Society of Genetic Counselors. Journal of Genetic Counselling. 20, 5, 432-441. Truesdale M, Brown M (2017) People with Learning Disabilities in Scotland: 2017 Health Needs Assessment Update Report. NHS Health Scotland, Edinburgh. Wu J, Morris J (2013) The population prevalence of Down’s syndrome in England and Wales in 2011. European Journal of Human Genetics. 21, 9, 1033–1034.